In this 21-minute episode, Jerod Morris gets Danny to open up about what he’s learned during his journey from working at a “soul-crushing” job to earning six figures a year with his first online course. And remember: You can actually watch the entire 90-minute case study that Jerod did with Danny as part of the free membership option that we just launched at Digital Commerce Academy. To find out what your membership will entail, and to register in about 10 seconds, go to digitalcommerce.com/register. Jerod Morris: Welcome back, everybody, to The Digital Entrepreneur. I’m Jerod Morris, the VP of marketing for Rainmaker Digital, and I have a very, very special guest with me today. I had the good pleasure, actually, of producing a case study for Digital Commerce Academy with this individual just last week. It was so interesting, so educational, and so inspiring that I had to bring him here on the podcast as well. Before I introduce this guest, let me set the stage for you real quick. In 2012, my guest quit his ‘soul-crushing job’ because he wanted something new. He wanted to be a professional writer, but with his first child and a pregnant wife at home, his back was against the wall, as you can imagine. So he rolled up his sleeves, and he got to work. He taught himself how to succeed as a freelancer on Upwork, previously Elance, and then turned those lessons that he learned into a basic online course that taught others how to succeed as well. In January of 2016, his online course, which is smart and highly useful, but won’t blow you away with fancy design or all these bells and whistles, generated over $25,000 in revenue–just in the month of January. That’s in one month, and that’s not even the best month that he’s had. The course is called Secrets of a Six-Figure Upworker, and my guest is Danny Margulies. Danny, welcome to The Digital Entrepreneur. Danny Margulies: Thanks. Thanks for having me. Great to be here. Jerod Morris: For sure. Like I said, I enjoyed our conversation for the case study so much. I really wanted you to come on here and share your story with our listeners on The Digital Entrepreneur. You can’t share all of it. That case study was about a 90-minute-long case study. It was great, and the questions at the end were fantastic. But there are a couple parts in particular that are especially relevant for this show that I want to dig into a bit here in this episode. To fast-forward your story a bit and lead into this first question, you made one transition when you quit your job, taught yourself how to be a successful copywriter, and then started earning a six-figure income on Elance, with a lot of hard work along the way. Eventually, you had to make another transition from successful freelancer to starting all over again as a digital entrepreneur creating courses. Take me back to that decision, and talk about why you decided starting a course, and eventually doubling down on it, was the best idea for you. Danny Margulies: I nicknamed my younger self ‘want-to-preneur number one’ because that’s where I was at a few years ago. I had a lot of energy, and I always wanted to do something. But it was really hard to figure out how. Freelancing was the first step towards that. I don’t think that that’s a necessary step, by any means. Some people say, “You should start freelancing first.” I think you could jump right into being a digital entrepreneur. Being a freelancer is sort of entrepreneurial, but it’s not a real business. It’s more like working for yourself, but it’s not exactly like having a business. I wanted to have a business, and I loved the accessibility of having an online business. We’ve gotten to a point where anyone can publish a blog. Anyone can put out a course, especially with Rainmaker. That was also a lucky thing. While I was thinking about this, you guys were launching Rainmaker at that exact time. All of these questions about, “How am I going to sell this course? I’m going to have to figure out all the technology. I’m going to have to have a website built and designed and all this stuff”–all of that was quelled with the release of Rainmaker. You guys were like, “Hey, look. This will do all of that for you. All you have to do is make something good. Just give people good information.” I thought to myself, “I can do that.” You know what I mean? Obviously, that’s the big difference between your digital business and your freelance business. With your freelance business, there are only so many hours in the day where you can do work and make money. With a digital business, you can scale it so much better. Talk a little bit about this idea of ‘feeding the machine’ and some of the ways you went about doing that once you had the course up. Danny Margulies: The best way that I found to feed the machine–and it’s super simple–it’s just guest blogging. It obviously doesn’t cost any money. As a matter of fact, some people offer to pay for it. I’ve never taken a payment for guest blogging because I feel like, for me, it’s just better to keep the payment out of it. It’s a different kind of transaction. It’s just so simple. So many blogs really want great content, and they need it every day. Also, people set their sights a little too low, maybe, with the guest posting. They think like, “Oh, well, all I can do is just post on one small blog at a time.” I think people would be surprised to find out that even bigger blogs really want your ideas if they’re good. I’ve contributed to Business Insider twice. It really wasn’t that hard, if you just pitch them with a good idea. It doesn’t have to be a earth-shattering idea of ‘how I made a million dollars’ or whatever. I saw the other day on Huffington Post, somebody wrote an article called Why I Didn’t Finish a Marathon. It got thousands, maybe tens of thousands of views and shares because it was an interesting story. I’ve been telling people ever since–what could be more underwhelming as an idea than, “I didn’t finish a marathon”? The person had an interesting perspective on why she didn’t finish the marathon, so it was a great post. I think that focusing on that one thing … everybody I talk to, they’re like, “I’ve got Facebook Ads. I got Google Ads. I got Bing Ads. I’ve got affiliate stuff.” They’re trying to do 18 million different things, and they just end up getting frazzled and confused, whereas I just picked that one thing and just focused the hell out of it. Jerod Morris: Again, that’s feeding the machine. It’s so important to have the something scalable so that you can then feed the machine. You can do all this guest blogging, run all these ads, like you’re talking about, but if you don’t have something really good at the core, at the heart, that you’re directing people to, it’s not going to work. That’s what you did. You developed this course. Went from your MVP course, which I think you were selling for $49, and then raised it up to $200. We’re going to talk in a minute about when you raised the price up again because I love that part of your story. But even before you were ‘feeding this machine,’ getting people on your email list and getting them into this funnel that would then lead them to the course, was there any particular challenge that stands out in your mind as you think back to creating and launching that first course? Danny Margulies: The biggest challenge was just mental. It was just thinking that it wasn’t going to be good enough. “It’s my first course. Nobody knows me.” It’s all BS, though. If you have a good piece of information, then it’s a good piece of information. It doesn’t matter how you deliver it. Would it be nicer if you could deliver it gold-plated and all this pretty stuff? Sure, but I remember, and I told you this when we talked, I had ‘splurged’ on the $200 mic. Looking back, I shouldn’t have even done that. I just did it because, when I listened to my first iteration of my voice using my laptop mic, I was like, “Ah, it doesn’t sound good.” Then I showed it to my wife, and my wife was like, “It’s fine. Nobody’s going to care. It’s totally fine.” I was so in my head about it. I guess that’s the metaphor. The mic is the metaphor for the biggest challenge–which is just being in your own head about and just thinking everything is not going to be good enough. When looking back, even if I had hired a crew and done all this stuff to make it ‘perfect,’ I still would’ve had that voice. Now I’m gearing up to do another course. It’s going to be much different, much more sophisticated, and all this stuff, but I still have that stupid voice in my head. That will never go away. That’s the biggest challenge–the mental block of thinking that everything kind of has to be perfect. Jerod Morris: Moving ahead now in your story, jumping ahead again. This is, again, one of my favorite parts of your story. Again, you started at $49 when you went out the door with the MVP and then eventually bumped it up to $200 for the full launch. There’s a great story within that, that you tell within the case study. Then, you get to this point where sales have grown to between $8,000 to $12,000 a month for, I think, a good four or five months in a row there. Then you decide to raise the price. Take us back to that time. Why raise the price, and what happened when you did? Danny Margulies: A few months before that … and maybe it’s quite a few months at this point or maybe even a year. I don’t know. Time has just been flying. I remember hearing Brian … I can’t remember who he was talking with. I don’t remember if he was talking with Seth Godin on the podcast, but I remember hearing him say that it’s been his policy in life, when something scares him, to use that as a signal that that’s what he needs to be going towards instead of away from. I woke up one morning. It was a Monday. I called my one team member. I had, at this point, one part-time team member, so I have a few freelancers helping me now with the course. I just called her up and said, “We’re raising the price. I’m going to send out an email today.” We kicked around a few ideas, like should we do a big email series over it. Then we both came to the conclusion, “No, let’s just send out two very short emails. One today and one on Friday as a reminder.” That was it. We didn’t want to make a big deal out of it. I didn’t feel the need to convince people that there was a reason why we were doing it. We felt like the results were self-evident. They spoke for themselves. The price, we were just going to raise it, and that was it. This is a big thing that I think a lot of people need to get over is, again, a mental block. I was scared because I was thinking about it in a logical sense like, “Oh, if it’s $300, then fewer people will buy it than if it’s $200,” because that’s the laws of economics. It doesn’t really work that way. When people are thinking about buying your course, it’s not like cabbage at Walmart where they’re like, “Should I buy the cheap one, or should I buy the more expensive one?” It’s something that people want, they’re connecting with emotionally if you made something good. They’re not tied to it in this logical, bean-counting sense. What we found is, the sales have literally stayed exactly the same. Actually, they’ve grown. Just to show you people don’t think about it in that logical way. Jerod Morris: The next part of that story is you doubled-down, and you fed the machine even more–and I love this. Right after you raised the price, you turned around and wrote an article called How I Made $30,000 in One Month Selling an Online Course. That’s the little detail. I forgot about this. In the month where you raised the price, you had what I believe to this day is still your record for sales which was $31,738 in October of 2015. You wrote this article, How I Made $30,000 in One Month Selling an Online Course, and then you got another 800 subscribers to your email list and kept getting sales. This has kind of been a theme for you. Something works. You double-down on it. You expand it into another area, and again, you just keep feeding that machine. I thought about it and said, “How can I leverage this?” Then it’s like, “Wait a minute. Of course, Business Insider would love to hear this story”–versus a random month when $10,000 came in. It’s not quite as interesting. You have to seize those moments when they happen. For people listening, it doesn’t have to be a big win. It could’ve been how I made $2,000 on the side while working a full-time job. It could’ve been how I launched my first course and made $600. They’re interested in that, too, so it doesn’t have to be this grandiose number. Jerod Morris: Fortunately, in this case, it wasn’t about quitting like the marathon article. Danny Margulies: No, but if I did write an article about running a marathon, it would definitely be about quitting as opposed to finishing–probably quitting very early. Maybe that would be my next article: How I Quit Before the Race Even Started. Jerod Morris: There you go. I’m right there with you. I’ll co-author that one with you. Okay. Danny, last question here for you. 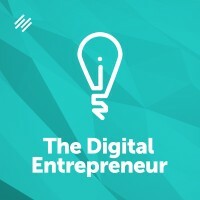 What do you think has been the single biggest contributor to your success as a digital entrepreneur that other aspiring digital entrepreneurs that are listening to this episode could apply to their own journeys? That’s what I feel about becoming a digital entrepreneur–the one thing that you’re literally guaranteed to do. If anyone’s listening to this podcast or listening to the other material that you guys are putting out and thinking, “I’m going to get it. I’m going to absorb all this information, so I won’t have to make these mistakes.” That is just not ever going to work. You may avoid some mistakes, but you’re going to make other mistakes. Some of them are going to be awkward. I sent out an email to 7,000 people with a blog post that was half complete. Even worse than that, it had my notes in it. I had somehow just ended up saving an earlier draft. It was a mess. I’m honestly surprised that 1,000 people didn’t unsubscribe from my list that day. We’ve had bloopers you wouldn’t even believe. I’ve had posts that people hated. I mean crazy emails from people, whatever. There’s just going to be unpredictable stuff, and the key to this whole thing is having a mentality where you go, “Okay, I’m going to screw up. I’m going to screw up a lot, but every time I do, I’m going to try and take something away from that.” You’re getting better over time. I think about the airplane system that we have. Every time an airplane crashes, the entire airline industry gets safer as a whole. They learn from that mistake, then they implement fixes, and the whole system gets better. As horrible as it is when an airplane crashes, overall, it’s actually better. Even though that’s a morbid analogy, I’m realizing now, but you have to think of it like that. You have to say, “Every time I screw up, I’m not … ” What people do is, they screw up, and they’re like, “You see. I knew I wasn’t cut out to be a digital entrepreneur. If I was, I totally never would have made this stupid mistake.” It’s the opposite. The people who are doing the best have just screwed up the most. That’s something everyone needs to keep in mind. You will mess up. Just keep going. Jerod Morris: That’s great advice. 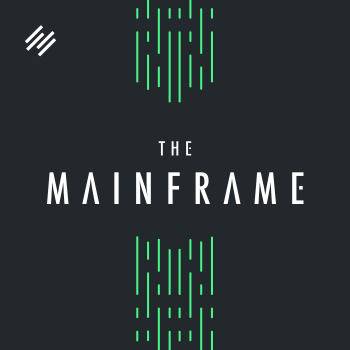 Actually, Tony and Chris over at The Mainframe did a great episode about that called Why Failure Is Always an Option. We’ll link it in the show notes. That’s such an important mindset for any entrepreneur, especially digital entrepreneurs, to have. Thank you for sharing that, Danny. Jerod Morris: There are two great ways to get more from Danny, to learn more about his story. One is to go FreelanceToWin.com, which is his site, and the other is you can actually watch the entire case study that I did with Danny as part of the free membership option that we just launched at Digital Commerce Academy. To find out what you’re membership will entail–because there’s a lot that is included in the free membership–and to register in about 10 seconds, go to DigitalCommerce.com/Register. Then, once you register, to get Danny’s complete story, watch his case study, How Danny Margulies Turned His Freelancing Success into a Powerhouse Paid Course. It’ll be there ready for you to watch. Danny, thank you, my friend. This was great. I’ve really, really enjoyed getting to know your story, getting to know you through this whole process. It’s been a lot of fun. Danny Margulies: Thank you. Same here. It’s great to be here. Jerod Morris: Thank you all very much for listening to this episode of The Digital Entrepreneur. We will be back next week with another brand new episode.